AQA says that candidates for AS and A2 Media Studies should study the historical, social, political and economic dimensions of representation. Representation is the process by which the media presents the ‘real world’ to an audience. Media texts construct meanings about the world – a picture, a film, a television programme or a newspaper article re-presents the world to help audiences make sense of it. A popular understanding of representation is through stereotypes – what are they? Stereotypes are a form of representation in which groups of people are characterised by attributing to them qualities that some individuals possess, and which later become associated with the whole group. 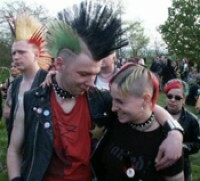 For example… Punks are forever associated with safety pins in their clothes and bodies, and Mohican haircuts. 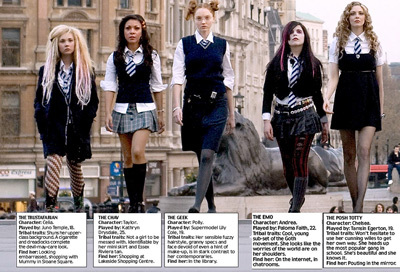 This is the stereotype of a punk although there will be many punks who do not look like this.